How is Iceland like Rural Zambia? Every four years over a billion fans tune in watch 32 nations compete in the World Cup, the most watched sporting event in the world. Soccer/football is the most popular sport with our students and staff and you can catch students playing a sunset game many days on a field near our schools. This year’s World Cup is in Russia, and includes 5 teams from Africa. Iceland is surprising us all and making waves this year with its first World Cup appearance. It’s the smallest country to ever qualify with a population of 340,000 (just 3% of the population of New York City!). To put that into perspective, the next smallest country to qualify was Trinidad and Tobago in 2006 with 1.3 million people. Iceland began their unlikely journey by beating England in the semifinals of the Euro Cup in 2016 and then solidified their spot by defeating Kosovo in October 2017 of the European Championships. Iceland has slowly been putting itself on the map in the soccer world contrary to the prior belief that they were too small to ever be on this world stage. The road to the World Cup began almost 20 years earlier when the country focused on providing quality coaches and access to everyone regardless of the ability and socio-economic status. The surprisingly easy access that players had to training facilities and top-rate coaching allowed them to continue their training regardless of the size of their town or the bad weather outside. Iceland’s cast of characters is made up of an unlikely bunch, and coach Hallgrimsson, a part-time dentist, is asked about this in every media encounter. He began a press conference at the World Cup by saying, “before anyone asks, I’m still a dentist and I will never stop being a dentist.” The goal keeper is a movie director that has put his career on hold, but was behind the a World Cup Coca-Cola commercial that includes the famous thunderclap. The more I read about the team, the more I see consistent themes and messages on why they are successful: laying the groundwork, hard work paying off, believing in yourself and believing that you deserve to be there. These are lessons we try to instill in our students every day. While Iceland and its glaciers, hot springs and fjords could not be more different than our farming villages in rural Zambia, I can’t help but notice that at first glance, someone might overlook our students or think our villages are too remote or rural. Much like Iceland, most people don’t know much about Zambia. 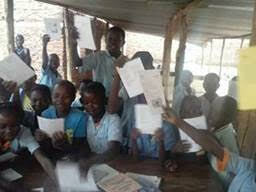 It is our collective responsibility to put Zambia on the map and share the stories of our amazing students and staff. With access to quality education paired with hard work and believing in themselves, our students have the opportunity to become the next teachers, doctors, lawyers, entrepreneurs – and hopefully even, soccer stars at the World Cup. Most of the world has celebrated the Iceland soccer story but the odds of them making it out of their group stage were small. However, on Saturday Iceland had a draw 1-1 with favorite Argentina, surprising the world and overcoming the odds once again. I hope Iceland and our students in Zambia keep surprising the world and blowing past the world’s perceptions! A few weeks ago the Impact Network team came together to support the biggest data collection and entry process in the history of the organization! With more students and teachers than ever before, Impact Network believes that it is even more crucial to have as much good information about our students and schools as possible. Good data helps us to not only provide more help to our students and teachers - but better and more tailored support! It allows us to make informed decisions and be responsive to what is happening across our 44 schools and many different communities. But building a school information system to accommodate so many students, teachers and staff has not been easy. The more data we collect, the more creative we need to be in terms of how information is gathered, entered digitally and processed. By using a mobile data collection system we have been able to create a lot of efficiencies within the team. Teacher and student attendance is now all collected through the mobile app, among many other things. Here is a picture of our teachers engaging with attendance and assessment data in a workshop in April. By identifying patterns among students and having access to essential information, teachers will be better equipped to tackle challenges that arise in and around their schools. The last big piece of the data puzzle is how to process student assessment data. With 6,000 students and 42 unique standardized tests each term- this a big undertaking! Over the past few weeks team members in the US and Zambia have come together to work on this. Led by our intern on the ground, Sharon, this process is almost done! A big thank you to everyone who has worked to make this a reality: Sharon, Noah, Caroline, Jackson, Solomon, Olivia, Lweendo, Richard, Katie, Sofia, Phoebe, Dilip, and Reshma! Data is power – and now we have so many opportunities to improve the quality of our program even further and facilitate better decision making at all levels. Earlier this year, I wrote about reading and math assessments in a small sample of students in Katete West. While there was much to celebrate, one finding was that some students were still struggling to read and comprehend what they were reading. In grade 5 in particular, students struggled with English reading since this is the year that the language of instruction switches from Cinyanja (local language) to English. 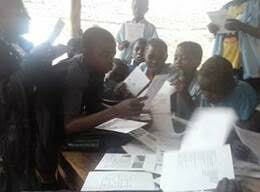 In order to combat this issue, a literacy initiative is being piloted in two school in Katete West. There are a lot of solutions out there, but finding the right ones to fit in this specific context, a small NGO in a rural environment with limited resources, can be tricky. We finally came up with a low-cost option that we think will provide good outcomes -- a literacy boost initiative in two grade five classes. At the outset of the pilot, we discovered that some students struggled to read English, or could read but struggled with comprehension. This is a particular concern because later grades are taught wholly in English. I also learned that some of those struggling students transferred from other schools and had not been with Impact Network for grades 1-4. One potential reason for low reading scores is that students do not have access to enough materials or time to read at their level to improve their reading fluency. Additionally these same students may have limited access to literate adults to help develop their reading skills. Thus, in this literacy pilot, students will be reading silently or with a partner for 20 minutes each day after school using reading cards with short English passages grouped by their reading level. In order to give students targeted support, guided reading is done once or twice a week by Impact Network staff. The students have been divided according to their reading level – this allows those students with limited reading ability to go back to basics and focus on phonics and use texts at the appropriate level, while other students who are able to read fluently can focus more on comprehension. We are tweaking the program as we go, but two grade five teachers participating have reported that they have seen some improvements in the students’ reading already! We will be measuring oral reading fluency after the end of the term to determine the level of improvement, but I can say that I have observed students reading more confidently and eagerly. I was expecting some push back and reluctance in having to read every day, but during the guided reading sessions I sat in on, students have been very willing and participate actively. It has been quite fun so far! When I visit, I walk around to a few students at a time and they are excited to show off what they can read. It is, after all, not their native language. I keep reminding them and their teachers, even in the U.S., where students have access to libraries and so much more, many can’t read in a second language. It is something to be proud of and celebrate! Greetings from Zambia! About two weeks ago I embarked on my very first trip to Zambia. While here, I am getting a closer look at our program, staff, teachers, and students and it has been very enlightening. Within my first week, I had the pleasure of reviewing one of our teacher training presentations. This particular training outlined the steps to building a positive learning environment in the classroom. One of the components that really stood out to me and somewhat followed, or rather guided, me through this trip, was “Micro-Moments”. Research has indicated that our memories are based on tiny moments, micro-moments, which generally last a few seconds. These moments are divided into three categories: Positive, Negative and Neutral. We tend to remember the positive and negative and often push the neutral ones to the back of our minds. I will take you through a few of the positive micro-moments of my trip. 6:13 A.M. on a chilly Tuesday morning, I come out of my room to take in the sunrise. And to my surprise, I was stopped in my tracks gazing at an unexpected marvel. As I turn to close my door, I notice one of our students, Pagalani, being wheeled to school by his mother with his two younger siblings sitting in his lap. Once they arrive at our school, the mother, with our security guard’s help, picks up her son and places him on the school steps. Waves and hugs are exchanged between Pagalani and his siblings as they jump into his wheelchair to leave with their mother and Pagalani patiently waits for the school bell to be rung (at 7 A.M. sharp) and learning to commence. The commitment of our students and parents were evident at this moment and motivated me for the rest of the day. During my first field visit, I was able to sit in on Mervis, a 1st-grade teacher in Kathangwira, deliver a Cinyanja (local language) lesson to 57 students. After class, the students are in the standing in front of the school, so I decided to take pictures. I take a few group pictures and then I noticed a very stern-faced tiny person. I choose her and a few other friends and ask them to smile in the local language. Little did I know that this four-letter word, “Seka”, would brighten my day and inspire me to smile like the world is watching. After observing a very interactive lesson on counting and utilizing the number line with our 1st graders, Tesila, a teacher supervisor, begins to coach Kennedy, one of our newer 1st-grade teachers. Just as we begin to examine the positives of his lesson, one of his pupils’ returns, holding a gift. This student has returned after dismissal to offer a symbol of gratitude, an ear of roasted corn, for an admittedly great lesson. The student shyly hands off the ear of corn to a deserving Kennedy and runs off giggling. To see this little girl showing gratitude in the grandest form she knew and watching Kennedy humbly accept this token, truly warmed my heart. Mere minutes after I arrived in Joel, I was welcomed by several children who decided to take a break from herding livestock to greet me. They stop what they are doing to stare, then they disappear and I do the same to settle in. About five minutes pass and I hear faint whispers of “Hello, How are you? I am fine”. Upon hearing this, I take a break from settling in to get to know my new friends. We don’t speak the same language, so we just sit and examine each other with our eyes. To make me more comfortable, I begin to play music to fill the moments between smiles, awkward silences, and our laughter. We begin to dance and our dance session gets serious so I whip out my phone to capture this moment and my new friends stop in their tracks and run from the front of the camera to my side of the camera… And from there some of the most memorable selfies I have ever taken are snapped. After a long day at one of our most rural school, we took a detour to conduct an audit on one of our Expansion schools in Mthunya. As we closed out our visit, we were getting ready to leave and the Head Teacher request that we sign the logbook. Naturally, our Operations Manager for this region takes the book and begins to fill out the logbook. The Head Teacher stopped him and asked that I sign the logbook. Completely caught off guard, I ask if he is sure that he wants me to sign the logbook, as I am so used to blending in or at least trying to blend in. He assures me that I should sign because I am the newest visitor. He goes on to say that he has heard about me; I question what he thinks he knows about me, as we have only been there a few minutes. He rattles off a few facts: my name, my heritage (Nigerian) and that I was visiting from another country. I was so surprised. This offered a new and very personal outlook on my presence in Zambia and helped me to see that, try as I might to blend in; my presence is noted and impactful. My first morning in Joel, I am having breakfast with Felicia, our Implementation Specialist and Monica, our Education Program Intern and we begin to recap my arrival. Felicia informs me that I am not what our staff, particularly what Caroline, one of our School Support Officers, expected. She goes on to explain that Caroline was not expecting to be greeted by “a young, cool, down-to-earth person that she could talk about things like hair and music with”. While I am not exactly sure what she expected, I am happy that I was able to completely dismantle (and potentially redesign) her expectation of Americans. The looks from students as I walk into or past a classroom, past students in the schoolyard or past children in the village. Noticing their eyes being fixated on me; someone who looks like them but seeing that there is something new and different about me. These looks happened throughout my trip and I was able to capture one. This young lady’s gaze (pictured below) was replicated 100 times over on my short stay. It is these glances filled with admiration, wonder, and excitement that will continue to push me in this work. In reflecting on the last three micro-moments I shared, I am reminded of Chimamanda Ngozi Adichie’s Ted Talk, The danger of one a single story. Chimamanda speaks about differentiating the narrative of a people and the power attached to those stories, how they are delivered and who is delivering them. In these micro-moments, I am the one delivering a new narrative with the simplicity of my presence. By no means do I see myself as a superhero by walking into the communities that we serve as someone who looks like our students, parents, and teachers, but coming from similar heritage as the visiting American, that no one expected, is important! After thinking more deeply about the dangers that Chimamanda examines in her Ted Talk, I am confident that our students’ exposure to a varied narrative is not limited to me, but rather offered to our students on a daily basis. From the interaction with teachers from different backgrounds to reading books about African leaders like Nelson Mandela to using our tablets where their animated learning companion resembles them and speaks their language; our students are definitely receiving more than a single story. It is difficult to know something is possible unless you see it. And we are showing our students (and staff) possibility. The #MeToo movement, which took the world by storm last year gave women a platform to discuss the abuse or injustices that they have experienced in their lives. For many young women and girls it has been an opportunity to speak out and demand change. But which voices are still silent and who do we still need to listen to? In rural areas of Zambia, where there is no internet and poor phone connection, linkages to wider social media debates are not possible. These are the areas where girls walk for hours to reach school every day and where periods of both droughts and heavy rains impede on mobility and access to resources. In Zambia, 27% of females in rural areas have no education compared to 18% of males. A girl is more likely to get married and have a child by the age of 18 than to complete secondary schooling. In fact 86% of pregnancies among school going girls in Zambia occur in rural areas among grade 1-9 girls. So who is listening to what they have to say? As adults, parents, policy-makers, managers of NGOs, teachers and defenders of girls’ rights, we often forget or don’t take the time to listen to the young girls around us. The conception that young people are unable express themselves fluently and have opinions about their lives is simply not true. But sometimes we need to ask other questions and be creative in the methods we use to listen actively. At Impact Network, we work hard to ensure that children in rural communities have their voices heard and are actively involved in improving school life. Through our work across the Eastern Province in Zambia, with 44 community and government schools, the aim is to ensure that boys and girls alike have access to quality education. We believe that it is through learning and active participation that young people will improve their prospects in life and contribute meaningfully to society. Through one of our many initiatives to do so, we involve learners in age-appropriate and child-friendly activities in a ‘Student Council’ to participate in decision making. We take the time to truly listen to what girls and boys have to say. In a recent student council meeting, children in grades 1-4 were asked to speak what makes them the most happy in school and to draw accompanying pictures. Many drew pictures of their classrooms, using technology, getting school lunch and interacting with peers. One girl was too shy to speak about her experiences in school but when asked to draw, her pictures spoke for themselves. She drew herself playing football with her friends. In rural Zambia, it is rare to see girls playing football as it is often perceived as a boy’s activity and girls are often found on the sidelines. We need more girls to speak up about their passions and we need to listen to them, to ensure that everyone is given the space and opportunity to explore their interests – regardless of their gender. At Impact Network, we can create safe spaces for girls and boys to discuss issues that matter to them. Through our Life Skills and Sexuality Program, content on growing up, peer pressure, reproductive health and safety are discussed in mixed groups of boys and girls as well as in gender-peer groups, facilitated by a trusted adult. Through the program, young girls and boys are given a forum to openly discuss issues that they face, share experiences and advice, as well as learn new skills that will help them in life. “We are educating children, especially the girl child. With the help of the Life Skills and Sexuality education as part of the curriculum in our schools, we want to help our girls to handle themselves in difficult situations and to get boys to support their peers in different stages of life. Boys should know that they are important in solving the problems. For girls to be free from abuse, we need support from the community,” says Caroline Chibale, a 20-year-old facilitator for the Life Skills and Sexuality program in nine Impact Network schools. For girls to complete school, there are many other challenges that need addressing. The financial barrier is a very real struggle for many large families in rural communities, and often boys are prioritised by parents to go to school. 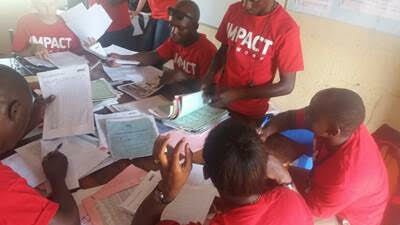 At Impact Network, schooling is completely free and all associated costs covered. Removing the financial barrier is one less challenge that girls need to overcome. “I was able to complete my secondary school, as I had support from my parents. But there are families who cannot afford to send their girls to school. So many girls drop out because they do not have the financial support from their parents. But the financial status should not prevent girls from becoming who they want to be in life. I want to be a good role model, and I want girls to look up to people to know that they can become whatever they want to be,” says Chibale. International Women’s Day is all about celebrating how far the movement for women has come and to acknowledge all of the important work that Impact Network and other organisations are doing for girls. Yet it is also very important to highlight the many challenges that billions of women still face around the world and how much still needs to be done. At Impact Network we are adamant about listening to what young girls have to say, sharing their stories and more importantly taking action to ensure that girls are not only safe but thriving in school and beyond. Each year, I look forward to reading Bill and Melinda Gates’s Annual Letter. As most people in our field, we follow the work of the Bill & Melinda Gates Foundation closely – not because we are always looking for money (although we are! ), but because their work drives so much of the work in development and other foundations. It is the largest foundation in the world, and it’s 50% bigger than the second largest foundation – so it’s focus areas often become focus areas across the globe. This year, the letter tackled 10 of the toughest questions they receive, and I wanted to highlight a few of the answers (you can read the full letter here: https://www.gatesnotes.com/2018-Annual-Letter). It’s so interesting that this is a question that is asked often – The Gates Foundation spends $500 million a year in the United States (compared to $4 billion in developing countries). To me, that is a LOT! The Annual Letter explains that when they first looked at the health field across the globe, it was evident that their resources could save millions of lives if allocated to causes like vaccines in developing countries. But it also reminds me of a question we often get asked – why Zambia? 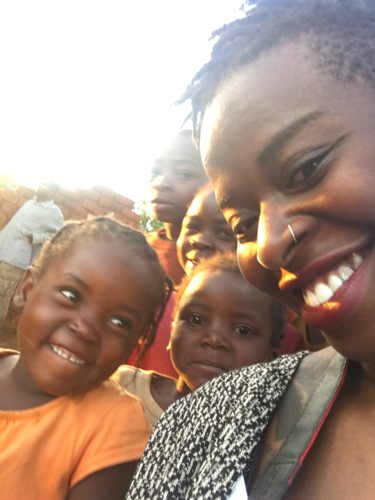 While our story has a little bit of insight into our co-founders’ history with Zambia and the Peace Corps, there are other reasons too! For one, Zambia has had a relatively peaceful history – under the 2017 Global Peace Index, Zambia is one of only 8 African nations to receive a High State of Peace rating (http://visionofhumanity.org/indexes/global-peace-index/). The country has avoided a civil war, even after transitions of power post-independence. And the people – as I have learned – are uncharacteristically friendly. The feeling when you reach Joel village is one of good will – amidst children screaming “How are you”, you’ll often find women eager to greet you, grandmothers wanting to shake your hand, and shopkeepers asking you if you’d like a cola. And furthermore, a dollar goes an incredibly long way in Zambia. It costs our team in Zambia just $40 a year per student to provide a high-quality education to one of our scholars. For reference on what it costs us here – New York spent a median of $22,658 per student in fiscal year 2015 (http://www.osc.state.ny.us/localgov/pubs/research/education/pdf/education.pdf). So investing $1 into an education system goes over 500 times further if we invest in Zambia vs New York. I know – crazy! What do you have to show for the billions you’ve spent on US education? My answer feels similar – what does Impact Network have to show for the (thousands) we’ve spent on Zambian education? A lot, but not as much as I’d like. We have educated over 5,000 students who have passed through our school system. Our evaluation from American University found that we are improving literacy and numeracy skills at a fraction of the cost of government schools (http://www.impactnetwork.org/our-evidence/). And we’ve grown so much over the last year to welcome more 4 times as many schools into our eSchool 360 family. But there are still students in our grade 1 classes who are struggling to learn their letters. There are grade 4 students who rely on tallying basic addition, subtraction, multiplication and division rather than faster functioning mental math skills. And there are grade 5 students who are having trouble with the transition from Chinyanja to English. While we take the time to celebrate our wins, it’s also important to keep an eye on what we could be doing better. Why are you really giving your money away – what’s in it for you? I’m sure this is such a common one for Bill & Melinda Gates – and Melinda Gates answers it beautifully: “We both come from families that believed in leaving the world better than you found it.” [As an aside: This is what I try and tell my 2-year old when we go somewhere else to play to get him to clean up – incidentally, I am usually the one picking up puzzle pieces and tripping over legos, so I’m not sure my messaging is working]. It’s a simple thing really – leaving the world better than you found it. And like my example above, it can apply to our regular everyday lives as well. Pick up litter off the street (my father-in-law does this constantly, even when it’s gross!). Take someone else’s recycling to the curb sometimes. Be kind to the person behind you in line. Next week the 2018 academic year begins for all the students at Impact Network schools. Yet across Zambia, many children may be denied access to education this year largely due to two main pressures from the past few months. One of the pressures is a flare up of Cholera across the country, which has delayed the opening of schools and has had a profound impact on people’s sources of income. With many markets having been closed and large public gatherings restricted by the Government in order to prevent the spread of the disease, livelihoods have been compromised. Another factor is the ongoing drought. In much of Zambia, it has left many farmers worried about their crops and this year’s planned harvest. Parents are not sure if they will be able to feed their children and continue to support their families. Some have even reverted to selling their government subsidized fertilizer to make ends meet, which will certainly jeopardize their source of revenue later in the year. A lot of research from across the African continent emphasizes that when people’s livelihoods are impacted by external ‘shocks’ to the economy and the little savings people have are spent on sustaining their families, education is first to be side-lined. Yet, it is also overwhelmingly agreed that education is a key component to breaking the cycle of poverty and creating financial stability among vulnerable communities. 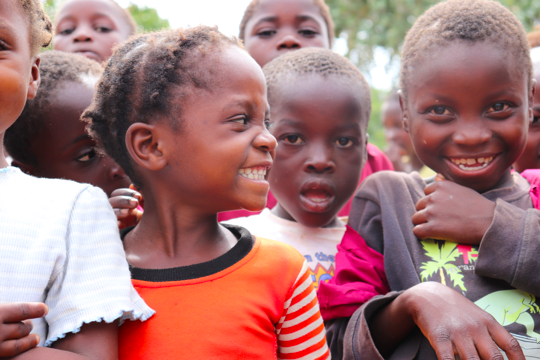 Although public primary education in Zambia is technically free of charge, there are many ‘hidden costs’ associated with attending school, such as uniforms, pens, books, and PTA fees among other things. These costs, when added up among all of the school-aged children in a family, can be the difference between a parent being able to send their children to school or not. Students might enroll late or not at all due to a family’s financial situation during times of economic hardship. As such, I am thankful that Impact Network is able to contribute to the stability and continuity of children’s education in the communities we work in. All the students in our schools receive the materials they need and parents do not need to contribute with any additional expenses to their children’s schooling. On Monday over 4,000 thousand students will start school with Impact Network, and although we know that many of their parents will be struggling to make ends meet, we also know that through continuous education, the future of these communities will be more secure and prosperous. We can only hope that in the future even more children will be able to attain all the benefits that going to school entails. Over the holidays and in the new year, I have been trying (and mostly failing!) to be a more involved citizen and community member. I came across some of the writings of Jiddu Krishnamurti – an Indian philosopher, writer and speaker. Krishnamurti was groomed to be the new World Teacher – an “advanced spiritual entity appearing on Earth as a World Teacher to guide the evolution of mankind.” He later rejected this and claimed to have no loyalty to any one group, nationality, religion, philosophy, etc. 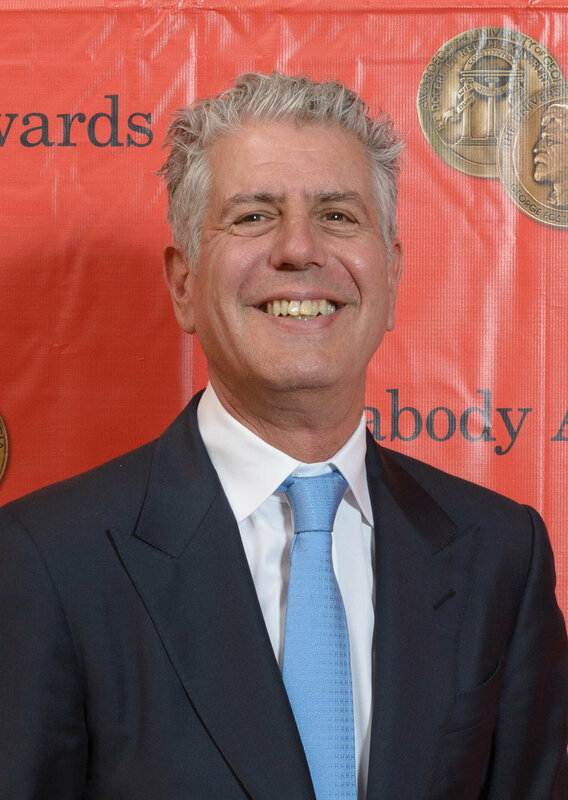 He became a renowned author and speaker, commenting on topics ranging from the nature of the mind to human relationships. I know – some hippy-dippy, tree-hugging stuff! It’s not usually the type of work I’m interested in. But I came across this quote over the December break and couldn’t help but learn more about him. For me, this particularly resonated. Growing up, I was a very good student – but I was always looking for the end. I was always looking for the test to be over, for the paper to be finished, for the term to let out. And I always thought that “learning” was something you checked at the door when those things finished and you could go back to regular life. But growing older, changing careers, and meeting a partner that was truly intellectually curious made me rethink a lot of those goals. And it made me want to strive for something better for myself, and for our scholars in Zambia. The intrinsic desire to learn is something that is so hard to teach inside classroom walls, but it’s something that resonates through every aspect of our work with Impact Network. This week, as we kick off our teacher training in Zambia, it particularly holds true for our teachers and staff. Our incredible team in Zambia embodies this fundamental desire every day – and there is no better role model for our students. We always ask for teacher and staff feedback during our monthly training sessions, and for as long back as I can remember, the team has shown a thirst for knowledge, and asked for more – more training, covering a wide range of topics. To them, we say thank you – and good luck as we start the 2018 school year!